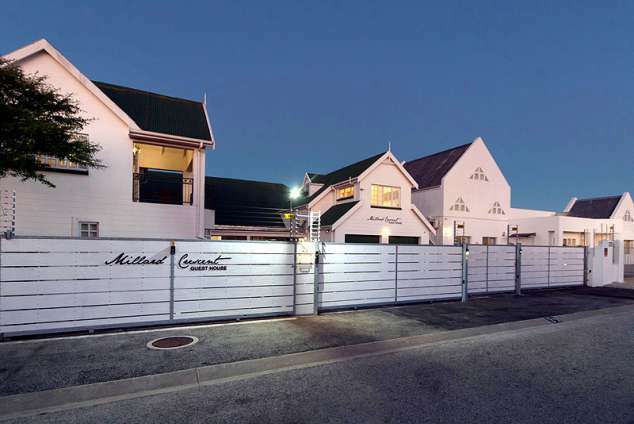 Millard Crescent Guest House - Summerstrand Accommodation. Come and experience our excellent rooms and facilities that cater for business or pleasure. We offer 9 luxury rooms, a family room, a 3 bedroom apartment and 2 budget loft rooms. All our rooms have tea / coffee facilities, free Wi-Fi and air cons. Breakfast is served in a spacious dining room. We have undercover braai facilities and there is a pool on the premises for the hot summer days. Free secure onsite parking based on availability. Tea / coffee facilities. Secure onsite parking with remote access. Free Wi-Fi. Millard Crescent Guest House is situated nearby all major attractions such as: Port Elizabeth airport, popular beaches, university and golf course. Luxury king size or single en-suite room with balcony. Room has Wi-Fi, DSTV, air con, bar fridge, coffee and tea facilities. Luxury king size or single en-suite room. Luxury double en-suite room with queen size bed. Luxury king size or single en-suite room with a sleeper coach for a child. Budget Double en-suite loft room. Room has Wi-Fi, DSTV, air con, bar fridge, microwave, coffee and tea facilities. Room with double bed and 2 single beds with en-suite bathroom with bath and shower. Luxury Queen bed with en-suite bathroom with shower. Luxury queen bed with en-suite bathroom with bath and shower. Spacious king size or single en-suite room with bath and shower. A sleeper couch available for a child. Double en-suite room with private garden entrance. Flat with 3 rooms, bathroom with bath and shower. Open plan lounge and equipped kitchen. Build in braai on balcony. Room 2: loft room with king size bed. Room 3: loft room with king size bed. Lounge has DSTV and there is air con in all the rooms. 463 page views since 27 Jul, 2018.